completed her Doctorate in Physical Therapy from the Bouve College of Health Sciences at Northeastern University. She completed her clinical experience at Tufts Medical Center in Boston. Sophia’s interest is in neuromuscular control and the integration of the nervous system and muscular system to facilitate healing. She specializes in postural and gait analysis, mobilizing with mobility, core stability and releasing neural entrapment. She treats a wide variety of musculoskeletal impairments including the neck, shoulders, elbows, hands, hips, knees, pelvis, ankles, and lower back. When she is not working, Sophia enjoys endurance running, working out, dancing and playing basketball. completed his Doctorate of Physical Therapy at Massachusetts General Hospital, Institute of Health Professions. Julian also obtained training in exercise science from University of California Davis and has extensive knowledge and experience treating orthopedic as well as sports-related injuries. The primary focus of his professional career has been in outpatient orthopedics where he has spent time continually improving his skills in sports medicine, orthopedic and post-surgical diagnoses along with injury prevention. Julian works with a diverse and active patient population utilizing manual therapy, instruction in self-treatment, and functional exercises to facilitate optimal recovery and return to previous activity/sport in a timely manner. In his spare time, Julian enjoys exploring San Francisco, running, cycling and soccer. completed his Doctorate of Physical Therapy at University of St. Augustine School for Health Sciences in San Marcos. Christopher also obtained training in Exercise and Sports Science from University of San Francisco and has vast knowledge and experience treating orthopedic injuries. The primary focus of his professional career has been in outpatient orthopedics where he has spent time continually improving his skills in neurological, orthopedic, and chronic conditions. Christopher works with a diverse patient population utilizing his experience as a former Biomechanics Teaching Assistant and manual therapy to facilitate optimal recovery and return to previous activity in a timely manner. In his spare time, Christopher enjoys cycling. is the Clinical Director of SOMA Sport & Physio. He completed his B.S. in Biological Sciences from Simon Fraser University in Vancouver, Canada. He subsequently earned his Doctorate in Chiropractic at Palmer College of Chiropractic West. In addition, Dr. Eng has experience as a State Appointed Qualified Medical Evaluator and Industrial Disability Evaluator for industrial injuries. His focus includes sports injuries, ergonomics, and core/spinal rehabilitation. He also has a strong interest in increasing sports performance through sport-specific technique analysis. Dr. Eng enjoys cycling, running, swimming, tennis, and skiing. He works closely with many of Fitness SF’s personal trainers and gives lectures on injury prevention and rehabilitation. Dr. Eng also lectures to the community about sports performance/injuries as well as corrective running and cycling techniques. holds a Bachelor of Science in Nutritional Science, with a concentration in physiology and metabolism from UC Berkeley. She competed as a NCAA Division 1 Track and Field athlete with a specialty in javelin. As a Physical Therapy Aide and soon to be Doctor of Physical Therapy candidate, she brings along her expertise as a high-level collegiate athlete and background in strength and conditioning into her rehabilitative exercises. Not only is she dedicated to helping patients achieve goals, but Cheri is passionate about maintaining a healthy, balanced lifestyle through a proper diet and exercise rehabilitation. In her spare time, Cheri's interests include competing in Olympic Weightlifting and coaching young athletes. holds a Bachelor of Arts in Integrated Physiology from the University of Colorado with a focus in Movement and Injury Prevention. As a physical therapy aide and soon to be DPT candidate, she brings along her expertise as a former collegiate competition dance instructor. 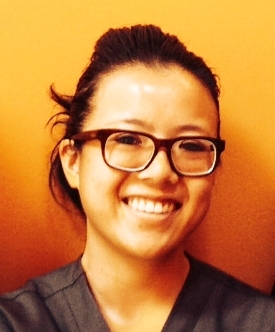 Lexi brings her expertise in aiding physical therapists with rehabilitation exercises and compassionate care. She firmly believes in holistic rehabilitation - encompassing nutrition, bodily awareness, and biomechanics. In her spare time Lexi's interest include dance, hiking, and yoga. has been a valuable asset to the team at Soma Sport & Physio since 2015. He holds a Bachelor of Arts in Exercise and Sport Science from the University of San Francisco. As an aspiring physical therapist, Ronnie attributes all his knowledge from working alongside physical therapists and athletic trainers while interning for the USF woman's soccer team. Growing up surfing, diving and running in a small town on O`ahu, Ronnie is dedicated to sharing his take on a strong and healthy lifestyle. When he's not helping patients plan their next visit to Hawai'i, Ronnie trains competitively in Brazilian Jiu-Jitsu. obtained his Public Health Sciences degree from UC Irvine. Brian is a competitive power lifter and has worked in the orthopedic rehabilitation with a focus on strength training and technique. He has also worked with extensively with the UC Irvine dragonboat team for the previous two seasons as the lead strength and conditioning intern, which produced championship results. Brian enjoys weightlifting and is aspiring to become a Doctor of Physical Therapy in the near future.